The Touring 48 model in the Utility series is now available in Ferry and VIP versions. 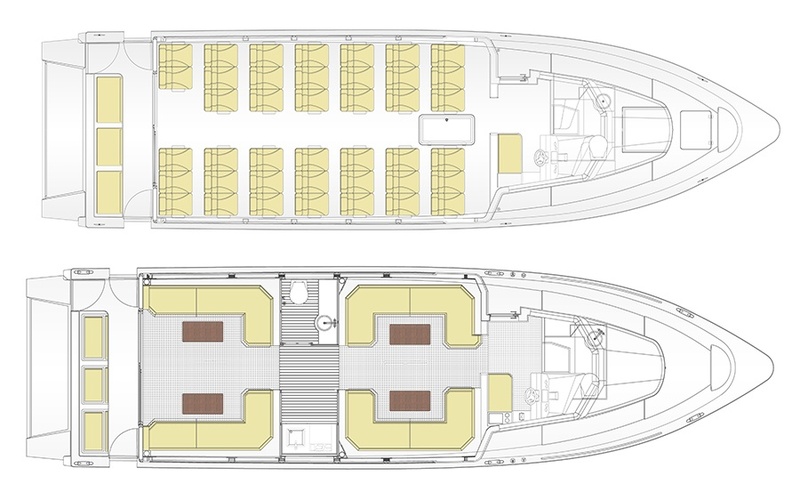 It has a tough build to cope with all weather conditions, and its deck comes with either the standard or enclosed layout. The Touring 48’s layout makes it a truly an adaptable vessel for several uses. It is a popular choice for tours, charters and transfers to luxury resorts.